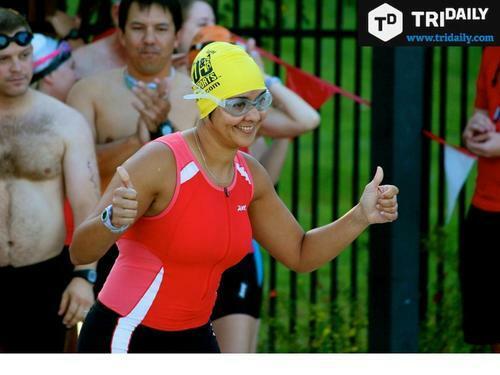 When I started training for my first triathlon with a "beginner" group, I met this great woman, Nicole. She was hilarious, spunky, and incredibly friendly. She has the spirit and energy of someone half her age (and looks it!). 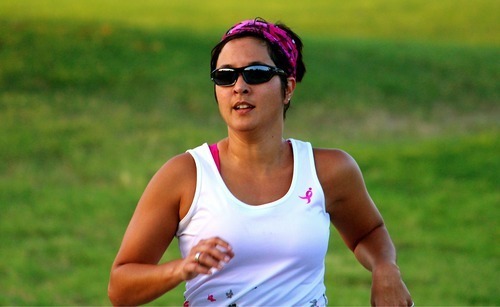 About 6 months or so into our training, I found out that Nicole was a breast cancer survivor! Excuse me, what? This chick was running circles around me at track workouts and swimming speedy laps like Michael Phelps. I never would have guessed that she had battled such an awful disease. My team recently partnered with Susan G. Komen for the Cure - specifically the Dallas Rock 'n Roll Half Marathon. I signed up for the race with my team knowing that this race would be more than just another half marathon for me. 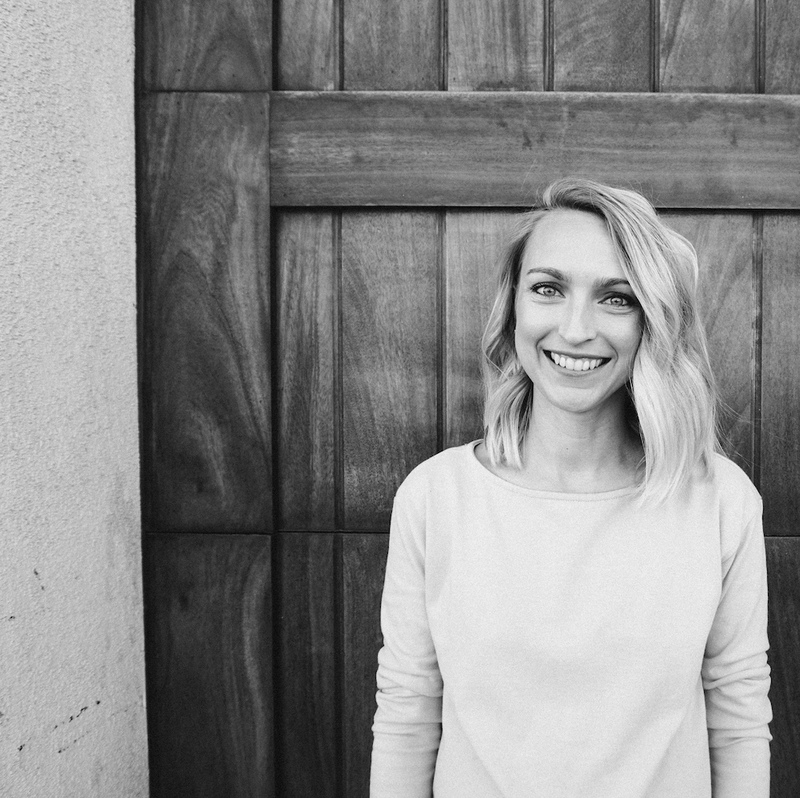 This race is a chance to support Nicole and other women like her. 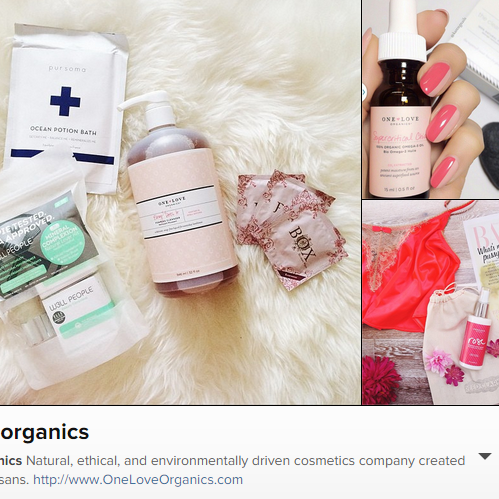 Nicole recently share her story with me to use on the blog. She is incredibly open and inspiring. I hope her story inspires you to get involved! How and when did you find out you had breast cancer? It was on September 11, 2006 that I found a lump on my left breast when I simply crossing my arms while talking to a work colleague. The lump was near my armpit right where the underwire of my bra was. Because I had played several games of soccer that previous weekend, I thought I had been elbowed there and just did not realize it. So over the course of the week, I kept an eye on it looking for swelling, bruising or change in size. By that weekend, I decided to go to my family physician who did a clinical exam and for precautionary measures order for me to get a mammogram the next week. At the young age of 34, I was going to be doing my first mammogram. Because the mammogram confirmed a lump on my breast, they decided to do further testing that day; I had an ultrasound done immediately but had to return back to get a biopsy done since they were obviously seeing something in my tests. The biopsy was the test that confirmed my diagnosis of breast cancer. I received the call the next day, September 21, 2006, I had Breast Cancer. How did you feel when you received that information? The news came while I was at work. I was able to gather the information I needed from the doctor and spent the next 20 minutes taking calls from and Oncologist and Breast Surgeon letting me know the next steps. With so much information to take in, it did not really hit me until I went into my bosses office next door to share the news. I suddenly broke down in tears! After getting my composure, I got the strength to call my mother (who lives in SA), to also share the news. Naturally, this caught her off guard as well, but I was still able to stay strong and provide her with my next steps. Unfortunately, she was going to be leaving in several days to go to Puerto Rico to pick up her aging parents and move them to the states, so her mind-set was in a different place. I told her not to worry that I have plenty of support here in Dallas with my older sister, younger brother and best friend by my side. Personally, I handled the news well considering. I guess the reality of being diagnosis with breast cancer was so foreign to me that it did not really phase me and I just asked, "what did I need to do next to get passed this." And so, that is how I was able to move forward; with a calendar and a journal. Before determining the treatment program that I would undergo, there were several tests that I still had to do; chest x-ray, blood work, PET scan, and MRI. All of these were important factors to my treatment protocol. My Breast Surgeon had proposed a Plan A, B and C based the results of the test. We ended up with Plan B because the tumor margins were unclear for surgery and the mass was larger than expected. In fact, the tests determined that I was Stage II Triple Negative Breast Cancer (the definition can be found in the Chronicles of Hope attachment). Only the staging of the breast cancer was of significance to me knowing that there are four (4) stages of Breast Cancer. But the aggressive state of my diagnosis moved us to do Chemotherapy first, followed by surgery, radiation and then reconstructive surgery. The whole process would be a year. Chemotherapy was every other week from October 2006 through March 2007. Mastectomy Surgery was the first week in April where I spent several days in the hospital- this surgery was to remove my tumor making me "cancer free" and to put in a tissue expander which was important for reconstructive surgery later. Radiation started May through the beginning of June and was every day (except weekends) for 33 sessions. My reconstruction surgery was the first weekend in December 2007 where they removed the tissue expanders and put in my implants. Although the surgery was successful, I returned to the hospital in December of 2009 to have the process redone because the breast was not reconstructed to my satisfaction. The second surgery done was called the Latissimus Dorsi Flap surgery, where they take the LAT muscle from my back and transfer it over to the front to serve as the muscle to hold up the implant. This surgery was originally planned, but the muscle behind my breast tissue seemed, at the time, to be healthy enough to withhold the implant. Turns out, that muscle had too much scar tissue built up from radiation, it was not healing correctly, so it was best that we did the LAT flap surgery in 2009. April 9, 2007 is the day that I celebrate as my "Cancer Free" day and marks the day that I can claim as being in remission. However, because my diagnosis was Triple Negative, I did not feel "in the clear" until I met my 5 yr mark which was in 2012. What are you doing now to "stay healthy"? I attribute a successful recovery to my battle with Breast Cancer because of my young age, positive attitude and good health. I was always pretty physically fit. Running was my thing. In fact, while I was undergoing Chemo, I was still working out. Running several times a week. I found that to be the best mental therapy for me. However, it also became the indicator of me becoming weak to the treatment. Three miles was my standard. But during Chemo, 1 mile was all I could eventually do. But then I became too tired to even get on the treadmill. Once I received an all clear from my surgeons that I could run again, I was thrilled and soon was able to get back to my 3 mile pace. And in 2010 I ran my first 1/2 Marathon in March 2010! 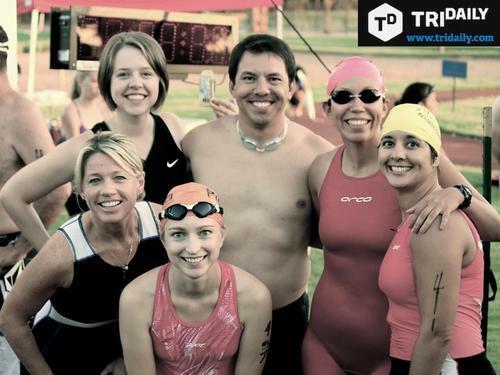 How did you get involved with triathlons? 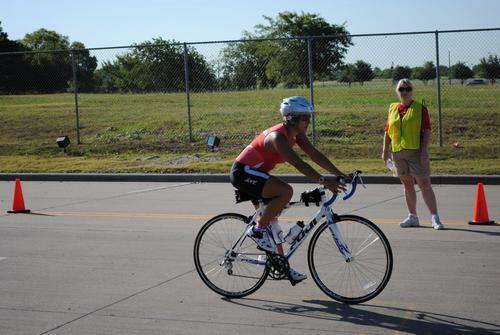 That December I had heard about a triathlon and decided to sign up! At the end of the registration process, there was a question; "Would like to make a donation to the Leukemia Lymphoma Society?". I burst into tears. This was Angel's disease! 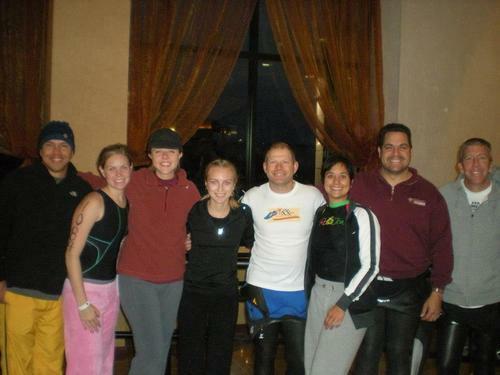 It was my calling to do this event; Playtri King Tut on April 15, 2012. I will never forget that Race. The weather was stormy and questionable. But we were still going to compete. Twenty minutes before I jumped into the water, the clouds parted and the sun came shining through. Angel was looking down on me and cheering me on! It was exactly what I needed to be doing. What does Komen do with the money donated from the Rock 'n Roll Half Marathon? The money that is raised for the Rock'n Roll Dallas 1/2 Marathon benefiting Susan G. Komen for the Cure goes back to the organization to help fund life saving research. To learn more about how they are making a difference, visit, http://www.komen.org/. Who inspires you? / What keeps you moving? I am so blessed to have had the support system to help me during my time of need. My family and friends were there for me the whole way. They helped me stay mentally and spiritually strong. But everyone has a different story to tell. I circle myself around other "Survivor Sisters" that may or may not have had what I had and may or may not be doing as well as I am. So, I stay strong for them. These women amaze and inspire me. We all have our struggles and admire each other for the challenges we overcome. So because I have my health to be grateful for, I share my health with my sisters that don't have good health. 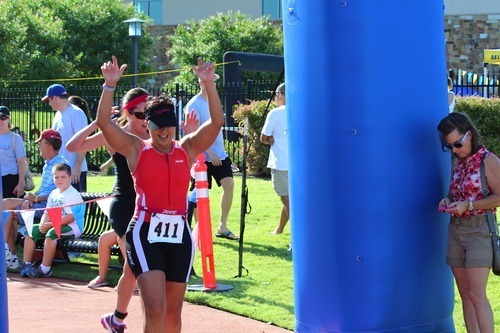 And while so many triathletes and competitors talk about their "PR" when they race, my personal record is crossing the finish line. Crossing the finish is a reflection of the obstacles I have overcome and the pride and joy of how far I have come. I had tears in my eyes as I read Nicole's story. I'm so thankful to be able to call her a friend, training partner, and a survivor. 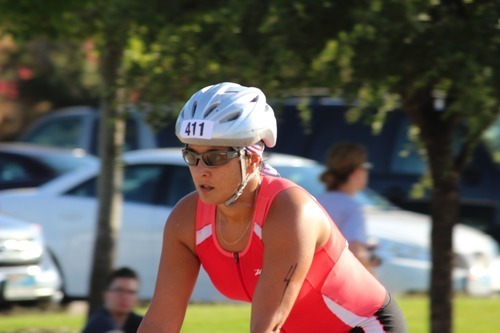 Nicole, now 42, has completed several triathlons and various running races. We still train together with Team TriDaily and I'm still trying to catch her but she's just so dang fast! If Nicole's story inspired you, then we'd love for you to support our team as we prepare for the Dallas Rock 'n Roll Half Marathon.